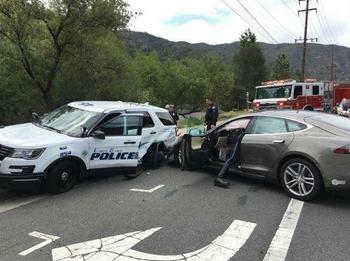 Authorities say a Tesla Model S in Autopilot mode crashed into a parked police car in Southern California Tuesday morning. The officer wasn’t in the vehicle at the time and the Tesla driver suffered only minor injuries. However, both cars sustained a substantial amount of damage. It’s not yet known how fast the Tesla was driving, if the Autopilot feature malfunctioned, or what the driver was doing before the collision. “Why do these vehicles keep doing that? We’re just lucky people aren’t getting injured,” Police Sergeant Jim Cota told the Los Angeles Times, noting that another Tesla crash occurred in the same area last year. Although yesterday’s crash didn’t result in any fatalities or pedestrian injuries, other collisions involving Tesla vehicles have been more serious. Two months ago, a Tesla Model X collided with a highway barrier in California. The driver, an Apple engineer named Walter Huang, died after being taken to the hospital. Tesla said Huang had received several warnings to put his hands on the steering wheel while the feature was engaged. Last month, a Model S crashed into a fire department vehicle in Utah. A report provided by Tesla showed that the driver took her hands off the wheel over 12 times during the drive, including for 80 seconds before the collision. The company also noted that "before a driver can use Autopilot, they must accept a dialogue box which states that 'Autopilot is designed for use on highways that have a center divider and clear lane markings.'" However, consumer groups argue that the way Tesla’s markets and advertises its Autopilot feature is misleading to consumers. "Tesla is the only automaker to market its Level 2 vehicles as 'self-driving,' and the name of its driver assistance suite of features, Autopilot, connotes full autonomy," the Center of Auto Safety and Consumer Watchdog said in a letter to the FTC. 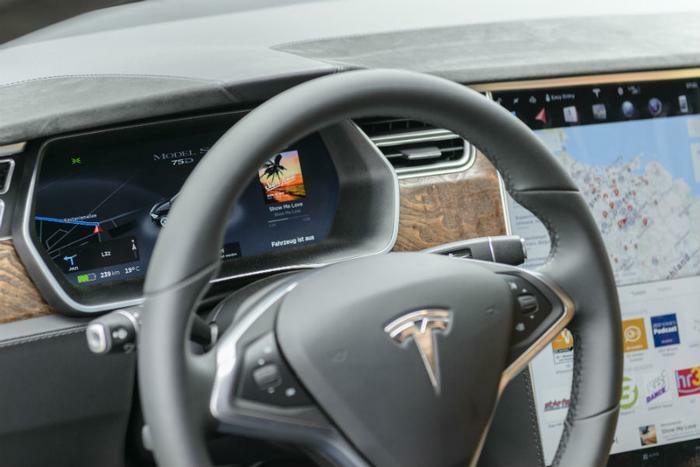 The groups requested that the FTC investigate how Tesla markets its "Autopilot" feature in order to ensure that consumers fully understand that the feature doesn’t make a Tesla vehicle self-driving.